Ed Jones reaffirmed his oval racing prowess as he featured up at the sharp end throughout last weekend’s Phoenix Grand Prix, looking set to secure a superb second-place finish at the beginning of his sophomore Verizon IndyCar Series campaign until late contact stopped his stellar podium charge abruptly in its tracks. Having finished an outstanding third on his maiden appearance in the iconic Indianapolis 500 last May and second at Phoenix’s ISM Raceway in Indy Lights, Jones is fast forging an excellent reputation for himself on ovals, and he returned to the historic 1.022-mile Arizona track buoyed by an encouraging debut for IndyCar powerhouse Chip Ganassi Racing at St. Petersburg four weeks earlier. The talented young Dubai, UAE-born ace maintained that momentum by lapping seventh-fastest in the first free practice session behind the wheel of his 720bhp Dallara-Honda single-seater, mastering a tricky track surface in conditions that were significantly warmer than when he had tested there pre-season. Jones subsequently wound up 11th amongst the 23 high-calibre contenders in qualifying, held under the setting sun in a high-tension, high-pressure situation. 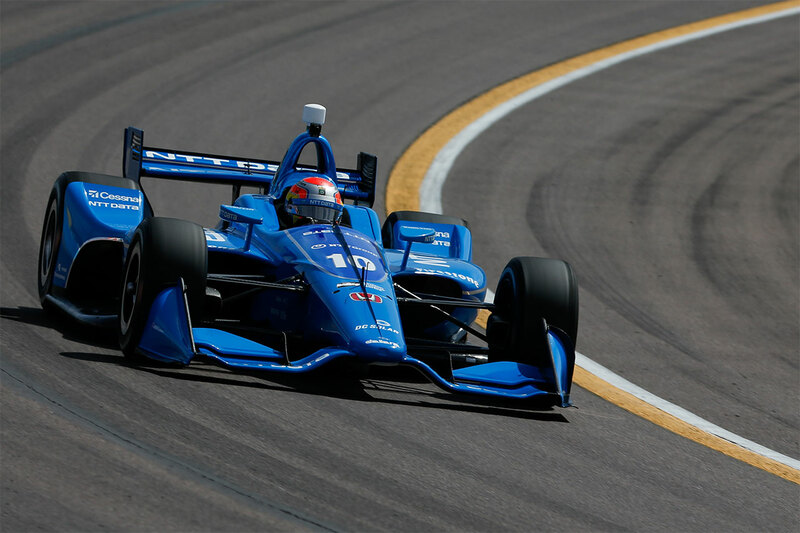 His two-lap average of 184.313mph was sufficient to place the 2016 Indy Lights Champion and 2017 IndyCar ‘Rookie of the Year’ six spots ahead of four-time title-winning team-mate Scott Dixon, who had triumphed at ISM Raceway in 2016. 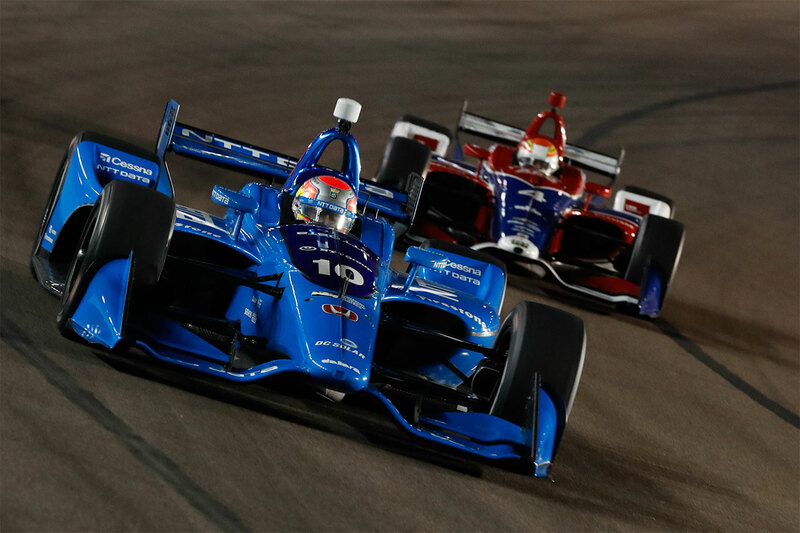 “It had been almost a month since St. Pete, so I was excited to be back in the No.10 NTT Data car for Phoenix,” he acknowledged. 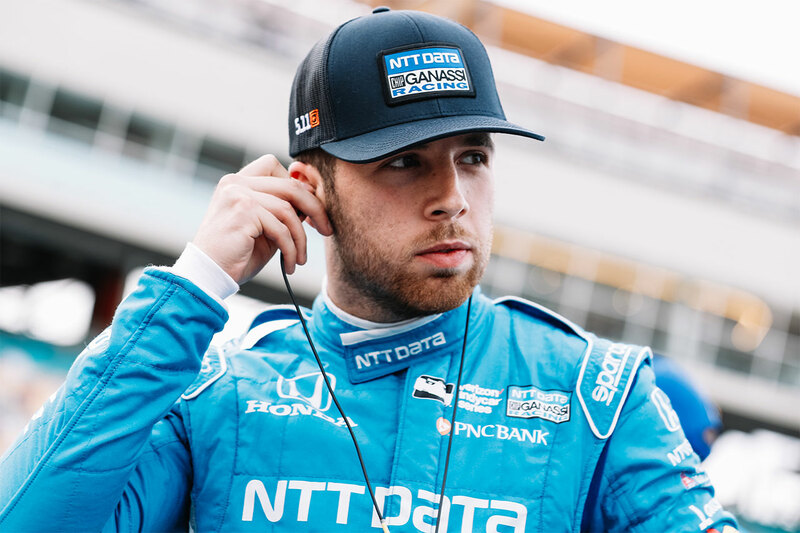 “We had a great test there earlier in the year where our car had been really strong, and I was looking forward to seeing how everything would work out racing under the lights in oval trim. 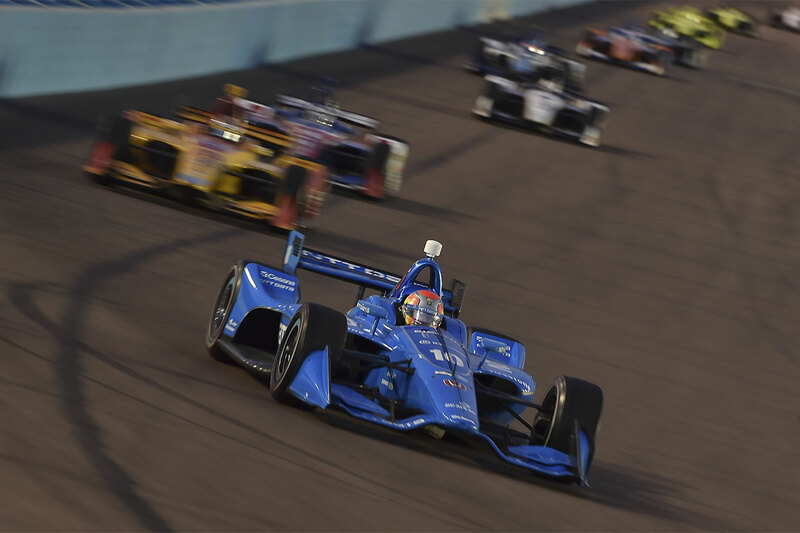 If he was on the back foot, it did not show the following evening when the 250-lap, 255.5-mile Phoenix Grand Prix – the first of six oval races on the 2018 IndyCar schedule – roared into life under the spotlights. 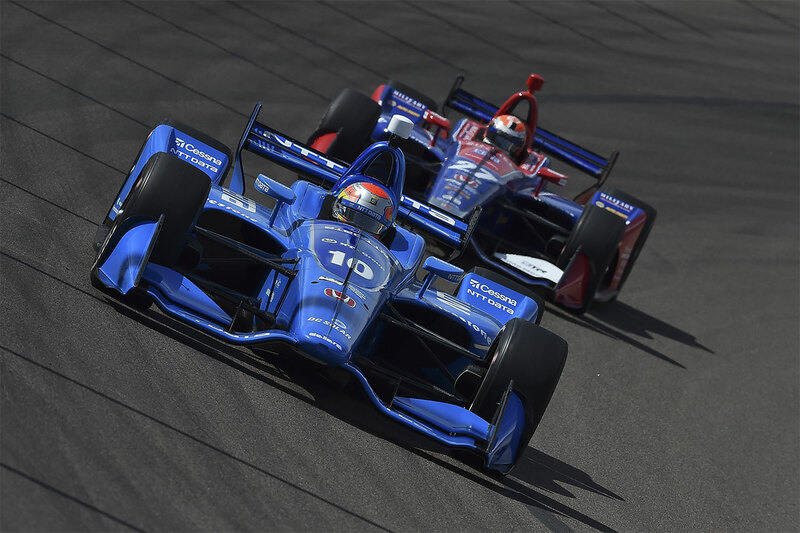 After swiftly fighting his way into the top ten, Jones spent his opening stint duelling with Tony Kanaan, the most experienced driver in the field and courtesy of a lightning-quick pit-stop from the Ganassi crew, he vaulted five positions up the order into fifth during the first caution period. Notwithstanding the distraction of a vibration at the front of his car, the 23-year-old Brit held his own amongst the series’ heavy-hitters, and by dint of boldly standing his ground against Will Power when the second round of stops began just before mid-distance, he advanced another place to fourth. 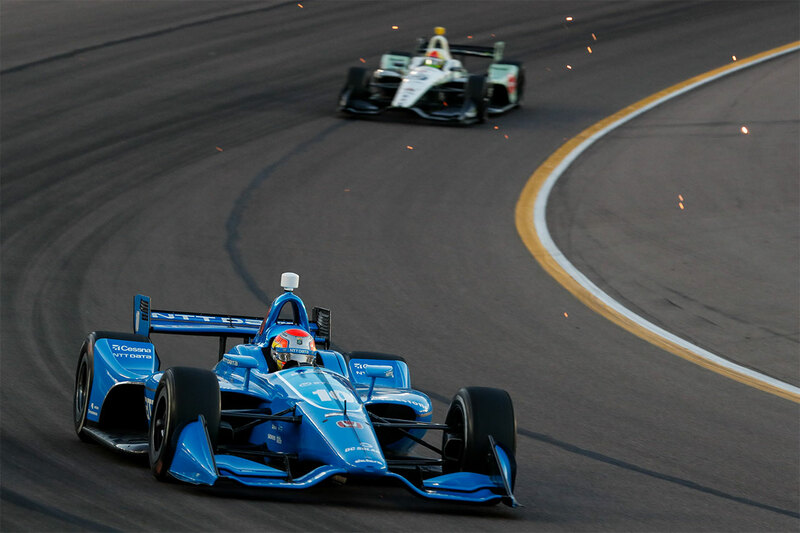 Running confidently and competitively barely a second adrift of the lead and in-between the likes of Power, Ryan Hunter-Reay and Josef Newgarden – IndyCar champions all – a strategic masterstroke from CGR with the timing of Jones’ third pit visit elevated him to second with 40 laps left to run. Unfortunately, 11 laps later and after reporting that his car was starting to feel loose, the former European F3 Open Champion made contact with the circuit’s unforgiving outside wall while negotiating a backmarker. 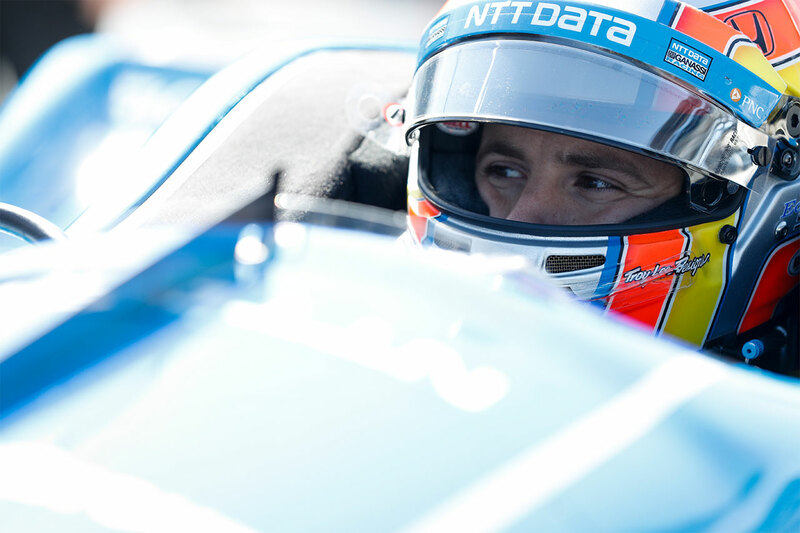 It was an uncharacteristic error from one of the most consistent drivers in the series, and a cruel blow when he had looked perfectly placed to break his podium duck – but he is already aiming to bounce back in the next outing on the streets of Long Beach in California this coming weekend (15 April). “Phoenix was a long, very challenging race, as we had fully anticipated, but the car actually handled a little better than expected, tyre degradation wasn’t too bad and the CGR guys gave Scott and myself probably the best pit-stops in the field, which allowed us to gain ground – every time we came in, we made up positions,” reflected Jones, who is being coached by multiple IndyCar Champion and Indy 500 winner Dario Franchitti this year. “We were having a great run in second and I was just trying not to take any risks, but then with barely 20 laps to go, I turned into the corner and the car went straight up into the wall – there was nothing I could do to save it. It was a big hit, and super frustrating because the NTT Data car was amazingly quick.